Cheats and Codes of Enigmatis 3: The Shadow of Karkhala for PC / PS4 including Game Achievements Guide. Welcome! Below we have collected the cheats of Enigmatis 3: The Shadow of Karkhala, but not only, any Achievements, Codes and Trainer will be shown on this page if and when they are available. Discover Cheats, Cheat Codes and Tricks for Enigmatis 3: The Shadow of Karkhala (PC / PS4): Game Achievements Guide. We have material valid for PC / PS4 The list of consoles is continuously updated from PC / PS4, the date on which Enigmatis 3: The Shadow of Karkhala was published. Good news! For this game we also have the solution. 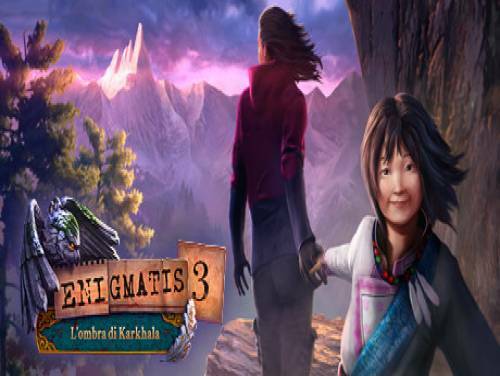 In this page dedicated to the solution of Enigmatis 3: The Shadow of Karkhala you will find one or more videos taken from YouTube that will show you the step by step guide to completing the game. Enigmatis 3: The shadow of Karkhala is the concluding chapter of a trilogy of great success, an exciting story of investigation full of adventure, puzzles and ancient mysteries. Follow the trail of a Preacher evil and unravel the mysteries at the Peak of Karkhala!